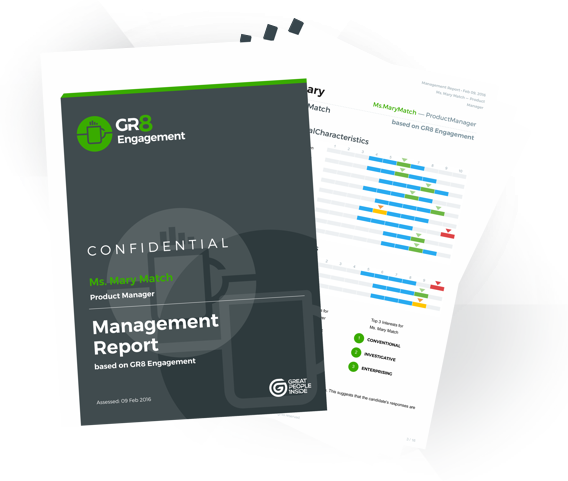 The relationship between engagement and professional performance has been explored at length by well-known experts such as Wilmar Schaufeli and Dale Carnegie. Their research clearly shows that the more people care about what they’re doing, the better they will perform at their respective jobs. With GR8 Engagement you can identify and measure specific values such as emotional attachment, enthusiasm and dedication, all of which factor in a person’s level of involvement at work. Please contact us for more information about the language availability.